Congratulations to the City of Subiaco for winning the Award for Parks from the 2013 Parks & Leisure Australia (PLA) WA Awards for Excellence as well as receiving a commendation for the same award from the National PLA Awards. Ecoscape worked closely with the City of Subiaco on this project and we are happy they have been recognised for these prestigious awards. Dom Serra Grove in Daglish commemorates the role Benedictine Monks played in the early development of Subiaco. 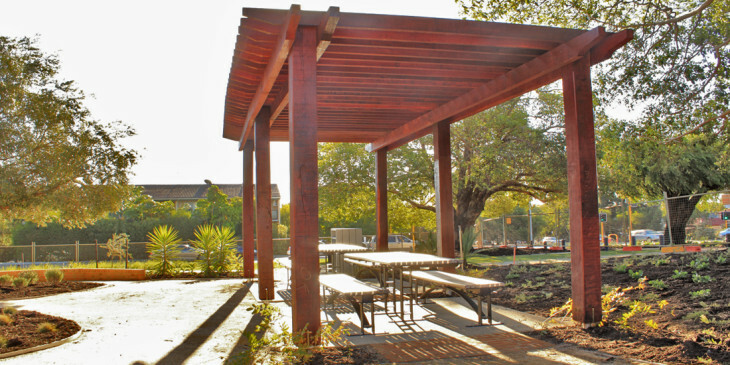 Ecoscape and the City of Subiaco worked with the Benedictine Monk community to strengthen this connection and honour the history through the redevelopment and design of this park. One of the key aspects of the redevelopment was to feature the original mature olive grove planted by the monks and continue this Mediterranean theme throughout the park. Active public use is a primary focus of the park, providing amenities and areas to encourage socialisation and beautifying the grove to encourage more visitors. Community workshops with local residents on design ideas guided the project as well as stringent environmental and water sensitive considerations.